Ever noticed the advertisements alongside search results when you put a query in search engine? Those are the examples of PPC. Let’s understand more about this form of advertisements. PPC or pay-per-click, is a model of paid marketing wherein advertisers have to pay a fee every time one of their ads is clicked by the internet users. Simply put, PPC is a way of buying clicks to your website, as opposed to earning those visits organically. The most popular forms of PPC is search engine advertising. The ads placement is available on the basis of bidding, where the highest bidder gets the most noticeable placement on the search engine result pages. When the interested people click on the ad, the advertiser is charged the current Cost per Click (CPC) from the set budget. Once the entire budget exhausts, the search engine (most of the cases Google) stops running the ad until you replenish your fund. 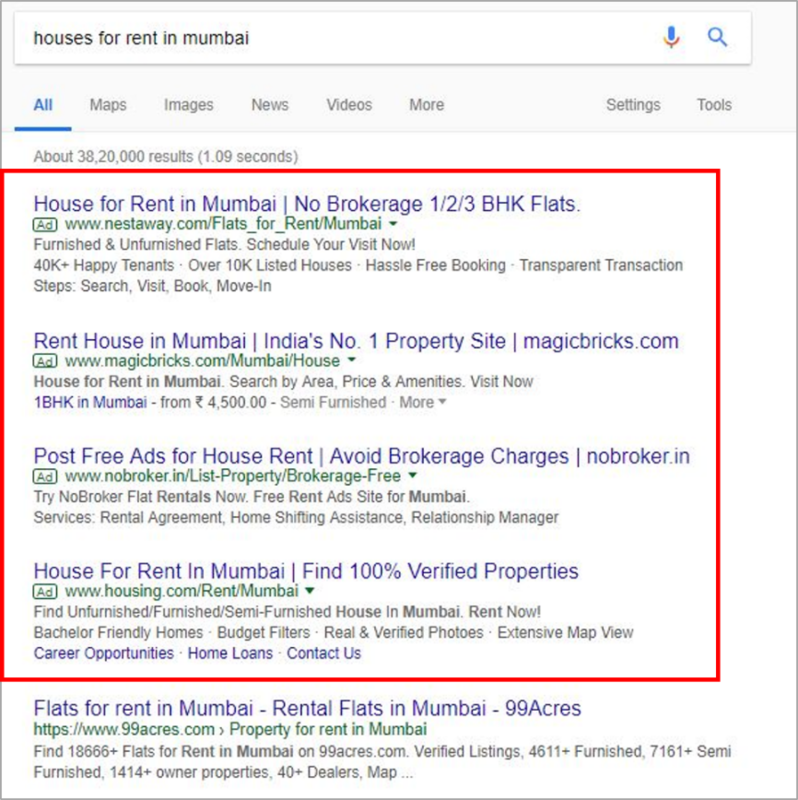 For example, if the companies bid on the keyword phrase “house for rent in Mumbai,” the ads that show up in the top spots on Google are a result of a PPC campaign with high bid and proper keyword optimisation. When PPC is working fine for a company, the per-click fee is trivial, because the click to your page is much more than what you pay for it. For example, if the company has to pay $6 for a visit to their housing website, but the visitor actually end up buying a rental house at $350 per month, then the company has made a hefty profit. With PPC you can specifically target keywords with buying intent, and thus it makes it perfect for businesses that are new and have little to no brand name. Also, when a company is looking to get instant results and doesn’t want to wait for the organic results to pay off, PPC is the best option. 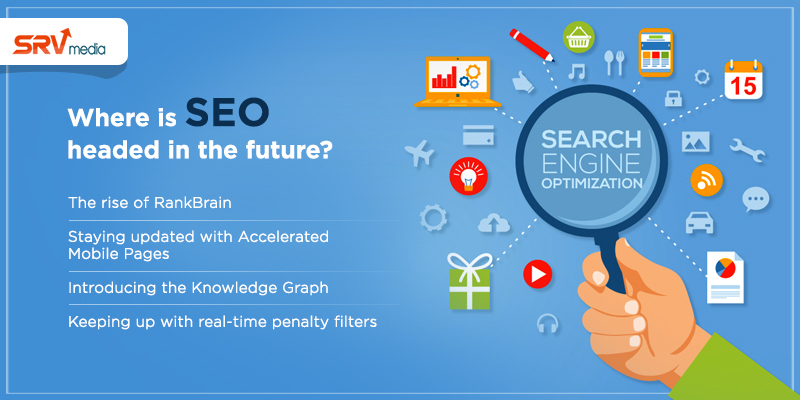 While compared to SEO, you may have to spend more overall, but the paid results are 1.5 times more likely to convert. Before launching a PPC campaign, you need to know what your customers are looking for and how they search for it. Find out the keywords you would want your ad to show up for when the audience enters those keywords as a search query. 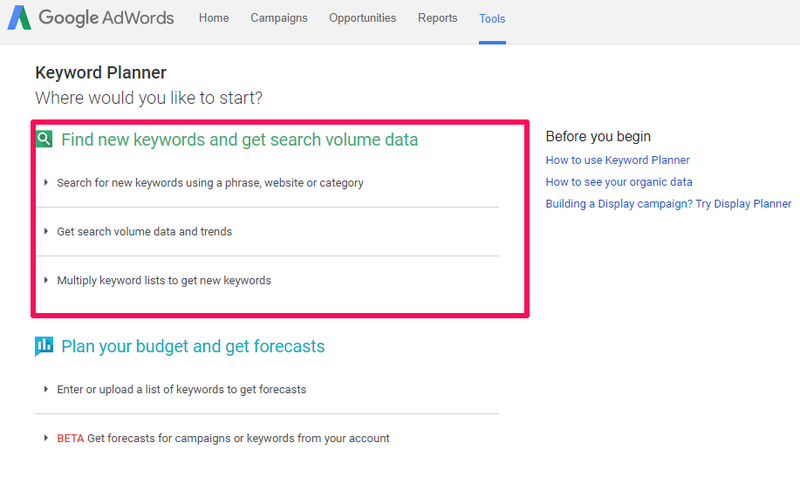 You can then take help from Google AdWords Keyword Planner that gives you the options for validating the keywords you’ve listed by showing the average monthly search volume, trends, average cost per click, and competitive data to take advantage from. Keywords with a high competition have a higher CPC than those with low competition. You should set a maximum cost per click that you’re fine to pay for your selected keywords to avoid overspending on advertising. The average cost per click varies industry to industry, but you should make an estimate of a max CPC based on the amount of profit you make from each conversion. Include a pinch of personalization that connects with the visitor and compel them to click on the ad. Your work doesn’t end with a prospect clicking on the ad. The landing page you are taking them to is equally important. Check for the relevancy between your ad and your page content to create a seamless experience that will lead to conversion while improving your ad quality score and in turn reducing your overall cost per click. Also, make sure that the page is optimized to load quickly and delivers well on mobile. What are the different platforms where they are run? There are various sites offering to run pay per click (PPC) marketing campaigns to get people to you website and potentially turn into conversions. The most popular platform is Google AdWords as Google holds a significant market share among search engines. Followed by Google is Bing and Yahoo. All of these 3 platforms capture 97% of search engine traffic for your PPC campaign. Other than search engines, social media platforms like Facebook, Instagram, YouTube and LinkedIn offer a billion users of all ages and demographics to target with your PPC ads. Besides, there is AOL’s Advertising.com sponsored listings service that allows you to customize ads to appear on specific websites. For more information on developing effective PPC marketing campaigns and assistance with launching your PPC campaigns, partner with a reliable digital marketing agency like SRV Media who has extensive experience in SEO and PPC. Hopefully, if you landed at this blog wondering, what PPC is all about and how it works, you are leaving the site with some knowledge!